The latest devices to hit the HP Store are the Pavilion Mini Desktop and the Stream Mini Desktop. The HP Pavilion Mini Desktop is just 52 mm (2 inches) high and only weighs 725 grams (1.6 lbs). Yet processors options include an Intel Core i3, it runs Windows 8.1 plus expansion options include 8 GB of expandable memory and 1 TB of storage. Video or casual gaming is supported by the dual display support with DisplayPort and HDMI compatible ports. So it's capable of streaming content across multiple screens, including TV with Quad HD support. The HP Pavilion Mini Desktop also draws a maximum power of 45 watts, far lower than the 250 watts of a typical tower desktop. A HP Pavilion Mini Desktop with Intel Pentium 3558U processor, 4 GB RAM and a 500 GB Hard Disk Drive (HDD) costs $319.99. 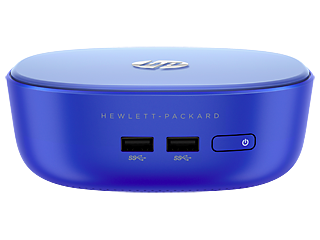 Meanwhile the HP Stream Mini Desktop has the same small format as the Pavilion Mini Desktop but comes with value-added options and services. These include a 32 GB solid-state drive (SSD) for speed and reliability, 200 GB of Microsoft OneDrive Storage for two years plus a $25 gift card for the Windows Store to purchase apps, Xbox games, music and so on. An HP Stream Mini Desktop with Intel Celeron 2957U processor, 2 GB RAM and a 32 GB SSD costs $179.99. These Mini Desktops supplement HP's 2014 launch of its equally diminutive Chromebox range. These desktop boxes are less than 126mm (under 5 inches) square and just 39mm (1.5 inches). And even the separate AC power brick is small; around the size of a typical laptop one. 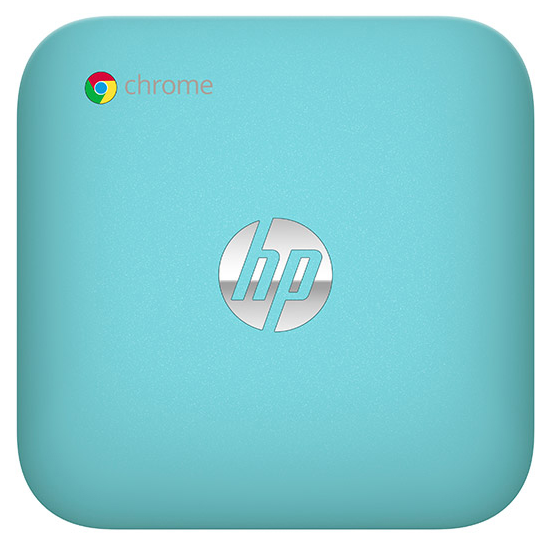 HP Chromebox's square form is softened by rounded edges with subtle design flourishes. And there's a number of case colours to choose from; Smoke Silver, Snow White and Ocean Turquoise. HP's low-end CB1 model has an Intel Haswell Celeron 2955U 64-bit 1.4GHz dual-core processor plus 2GB of RAM and 16GB of solid-state drive storage. In addition to the local storage owners receive 100GB of space on Google's Drive Cloud. Despite the small dimensions a Chromebox isn't short of ports. There's four USB 3.0 ports (two front, two back), both HDMI and DisplayPort out for video (including dual monitor support), analogue audio out, an SD card slot, Ethernet port and a security lock slot. Wireless communication options include 802.11b/g/n wi-fi and Bluetooth 4.0. Windows 10: Free download? Minecraft included?